Thomas J. Watson, founder of IBM claimed that organisations “can get capital and erect buildings, but [that] it takes people to build a business” (Watson in Snell et al., 2015, p. 5). The recruiting, motivating and managing of people is hence key to a business’s success. Companies must understand – and adapt to – the changing expectations of every new generation of employees in order to stay attractive as employers. While especially the qualification of the potential employees highly increased within the last decade, in order to attract the most suitable candidates from this ever growing pool, employers have to aim their recruiting efforts at the factor that drive and motivate this generation. As the ‘Generation Z’ is the youngest generation which grows up in a completely digital world, so far, little research has been conducted to distinguish between the Generation Y and Z; clear definitions are rare, suitable recruiting mechanisms lacking. Hence, gaining a precise understanding of what attracts and motivates talented individuals of this generation can offer significant competitive advantages. This is where the present research project comes in. 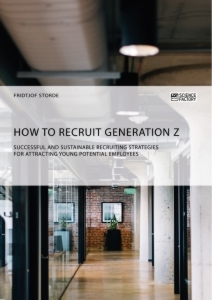 Besides developing a general framework for understanding the specificities of Generations Y and Z, the study will look at suitable strategies of employer branding and recruiting that are specifically designed to attract this new generation. Never have societies undergone such immense radical changes as today. Technological innovation, economic globalisation, demographic shifts and cultural cross-pollination – to name a few – are rapidly changing the face of virtually every aspect of modern society. Unsurprisingly, these changes pose a number of significant challenges and opportunities for companies and organisations. Just as consumer needs shift, so do the needs of the workforce as an essential asset in worldwide markets. The relevance that “two experienced workers will leave the workforce for every inexperienced worker who enters” (Martin and Tulgan, 2002, p. xvi) shows that organisations must understand the generational shift. Due to the fact, that many organisations are influenced by staff shortages, a trend that is expected to increase the following years, the interest in concept like employer branding and the need for optimising the recruiting strategy is ever growing. The generational topic has become even more relevant as in Germany’s aging population older people are retiring in record numbers, and a young generation is moving in. Longevity and declining birth-rates have further changed the workforce, making it particularly necessary for companies to adapt properly. However, 52% of organisations are still unprepared to manage several generations within one workforce (Ricoh.de, 2015). The present study examines Generation Z, analyses their characteristics, expectations, differences with the previous generation Y, and what an organisation must do to attract them most effectively and sustainably. 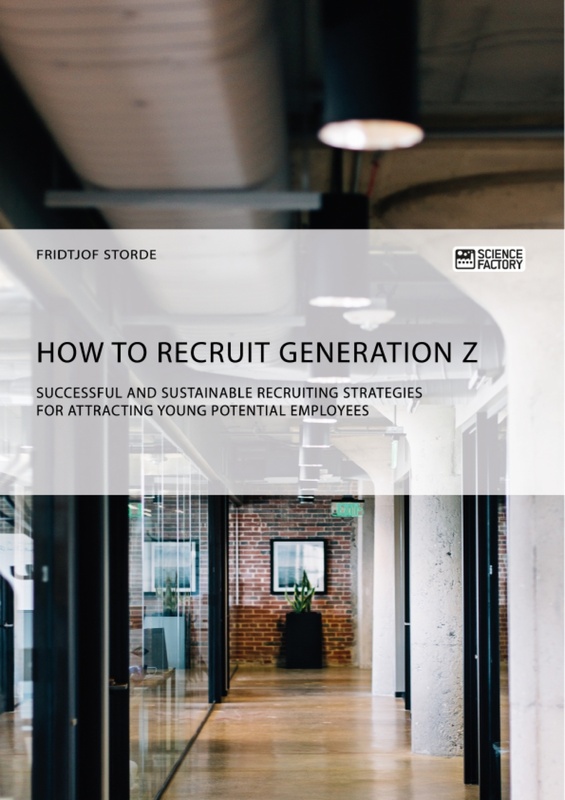 “How should organisations in Germany modify their recruiting strategy to attract potential employees of the ‘Generation Z’ in a successful, competitive and sustainable manner”. To conduct scientific research, it is important to work within a thoughtful and clear structure. The structure of this research project is depicted in figure 1. The introduction in stage 1 gives an overview of the generational topic for organisations today. Stage 2 offers an overview over the existing literature with special attention to the two key aspects; generations and employer branding. Stage 3 clarifies the methodological approach. Stage 4 outlines the findings of the research. Stage 5 discusses the findings. Stage 6 triangulates the findings with existing literature on the topic and provides recommendations. The final chapter analysis the author’s learning process during the research project. Every generation grows up with a different set of economic, political and cultural circumstances that shapes its sensibilities, values and personal characteristics. There is a wide range in how scholars define generational differences and hence what birth years mark a new beginning. A cohort, a term often used to refer to a generational group, can be defined as group of individuals who experienced the same historical or social events (Kupperschmidt, 2000; Smola and Sutton, 2002). Those events shape a group’s behaviours and perceptions, and create common values (Patterson, 2007). This can be understood as the ‘collective personality’ of a generation (Kupperschmidt, 2000). Simply put, every generation has its own set of individual perspectives and world views (Mannheim, 1952; Simirenko, 1966). Organisations are challenged to analyse employees not only as individuals but also as members of a certain generation. Becker (1992, p. 23), in adoption of Mannheim (1952), argued that a generation is “a clustering of birth cohorts that are marked by a specific historic location”. People with similar cultural and economic values and experiences during their childhood and youth can be clustered into the same generation (Klaffke, 2014; Sauser and Sims, 2012). Accordingly, Turner (1998, p. 302) suggests that a generation is “a cohort of persons passing through time who come to share a common habitus and lifestyle”. In contrast, other researchers have argued that this approach may not be sufficiently differentiated. People may, for example, be influenced by the same media and yet not necessarily belong to the same generation as they may well have other formative events or experiences (Gilleard, 2004) and collective memories (Halbwachs, 1980). Hence, any classification of a generation by birth cohort remains imprecise because dates are ultimately less important than shared historical events and environmental or social changes (Lyons and Kuron, 2014; Parry and Urwin, 2011). The present study follows Scholz (2014) who takes a somewhat inclusive position by arguing that the individual value systems that are characteristic for a generation, can best be associated with birth cohorts. Since the generation Z has begun to enter the labour market, little academic research has been conducted on this group of individuals. What defines the concept of a ‘generation’ is, at least in part, a function of geography. The American researchers Zemke et al. (2013) define generations as shown in figure 2. In Germany, by contrast, the generation of the Baby Boomer started approximately ten years later because the country had to deal with the fallout from WWII (Klaffke, 2014). Even within the German context, there are different approaches as to how to define a generation; few of them, however, focus on Generation Z the way Prof. Dr. Christian Scholz (2014) does which is the reason that the present study is adopting his definition. The population of Germany is shrinking and growing old (Kaiser, 2016). In year 2017, 22% of the population is older than 65 years followed by 60% who are between the ages of 20 and 64, and 18% under the age of 20 (figure 3). By 2030, the number of people in the age of 65+ will increase by 6% to 21.8 million whereas the age group of under 20 will consist of 17% or 13.8 million people. By 2060, the total population will have decreased from 81.6 million (in 2017) to 67.6 million. Figure 4 represents how every generation passes through several stages: socialisation, acquisition phase, retirement (Klaffke, 2014). As the age structure in Germany shifts towards an elderly society, the generation Z enters the labour market and four generations work side-by-side in a multigenerational environment (Ng and Parry, 2016). Due to the demographic changes, the knowledge acquired by the Baby Boomers need to be transferred to the future generation (Bennett et al., 2012; Burke and Ng, 2006); as the latest generation to enter the market, Generation Z is the primary recipient for that knowledge. This, in a way, shifts the burden of “how are [organisations] going to live with [Baby] Boomers” to “how are [organisations] going to live without them” (Lindorff, 2006, p. 41). Even more importantly, it shifts the attention towards how to accommodate and effectively utilise the generation Z. This necessity becomes even more virulent as the number of students in Germany has been steadily increasing since 2005/06 (figure 5). While the overall labour market is decreasing, the percentage of studied prospective employees is increasing. As a result, employers wanting to attract the most qualified and most motivated candidates of this pool, must thoroughly understand characteristics of this generation. Even though the literature indicates that older workers tend to be less motivated, unwilling to participate in trainings, and resistant to change (Ng and Feldman, 2012) in general, organisations must counteract the loss of knowledge that can occur when workers with long-time experience (Gandossy and Effron, 2004) depart from a company; the transfer of both experience and knowledge to the new generation is considered vital to an organisation’s survival (McNichols, 2010). A ‘symbiotic’ relationship (Ng and Parry, 2016) can benefit both generations and ensure continued productivity of the company (Antoniou et al., 2016). The generation Y or Why-Generation (Williams and Page, 2010; Kupperschmidt, 2000; Zemke et al., 2000) can be understood as a generation which is frequently inclined to questioning why things are the way they are. Members have been characterised as Millennials (Randstad, 2014), Nexters, Generation www or N-Gens (Martin, 2005) as they are born into the “information age” and into a period of continued economic growth (Pendergast, 2010). They are influenced by modern values, culture, internationalisation and globalisation (Parment, 2013). However, there is no clear consensus on generational delineation by birth years (figure 6). The present study adopts the definition of Scholz (2014) who understands Generation Y as individuals born between 1981 and 1995.  The Generation Y is born into an ‘ intact world ’. There were, of course, the terroristic attacks on 9/11 in New York and the Iraq/Afghanistan wars since 2003, and those events were certainly present in their lives and exerted a certain influence (Kring, 2013). Nevertheless, this generation grew up mostly under the care and guidance of very supportive, sometimes “overprotective” parents (Kring, 2013). Therefore, this generation tends to be family-oriented (Eisner, 2005; Howe and Strauss, 2009) and as having close relationships to their families (Parment, 2009; Mangelsdorf, 2014). According to some researchers, however, the parenting style they experienced has also contributed to a generation feeling adrift and helpless when it comes to finding their own path (Tapscott, 2008). The so-called Bologna-reform started during the generation Y. It allows for a reduction of schooling from nine to eight years and gives easier access to subsequent study programs (Scholz, 2014). The political objective behind the reform was to increase the number of students and thus to accelerate the qualification for and process of job entry (Scholz, 2014). While politicians promised easier career opportunities and higher salaries, the increased number of students raised the bar for entering the market (a bachelor or master’s degree is often considered a basic precondition for entering any segment of the labour market) which in turn has upset organisations that cannot or don’t want to offer corresponding opportunities (Scholz, 2014). Some researchers characterise this generation as consisting of “lazy, self-interested kids constantly at risk for drugs […] and violence” (Tulgan and Martin, 2001, p. 1). They question this generation’s motivation to work at all (Bund et al., 2013), and company executives have described them as spoiled, narcissistic and megalomaniac (Bund, 2014). Others, however, see this generation as ambitious (Lyons and Kuron, 2014; Oblinger and Oblinger, 2005), career oriented (Ng et al., 2012) and goal oriented (Eisner, 2005). Previous generations have been described as having a rather pessimistic world view (Cole et al., 2002), whereas members of the generation Y are considered to have a more optimistic view (Eisner, 2005; Howe and Strauss, 2009). Their positive outlook (Eisner, 2005; Howe and Strauss, 2009) makes them believe that hard work pays off and that they can change the world (Scholz, 2014). Many researchers agree that this generation is motivated by their search for acceptance and immediate feedback (Kovarik, 2008; Sujansky, 2004); others, however, critically argue that the striving for immediate feedback is a negative result from the extensive mentoring and feedback culture they experienced in school or university (Zemke et al., 2000). The generation Y is the first generation to grow up in times of rapid technological development. Their perspective is influenced by technologies which makes them feel always connected (Martin, 2005), authentic and independent (Weston, 2006) in a highly networked community (Palfrey and Gasser, 2008; Patterson, 2007). Growing up surrounded by technology, this generation is highly tech-savvy (Martin, 2005; Palfrey and Gasser, 2008). Older generations often criticise their use of technology as a waste of time (Tapscott, 2008) and their corresponding attitude as disloyal and disrespectful (Kovarik, 2008). The generation Y, in turn, emphasises that the internet simplifies the communication with their local and global friends (Palfrey and Gasser, 2008), and that their communication through networks like Facebook, Twitter and YouTube (Bund, 2014) is simply a different style. The constant availability of information through the internet influences their self-perception as being resourceful, clever and independent (Howe and Strauss, 2000). Members of the generation Y have high expectations of themselves and their environment (Armour, 2005). They request ample time for family and friends (Kienbaum, 2015), and search for a balanced life (Crampton and Hodge, 2006; Lyons and Kuron, 2014). Some of the literature attributes the term “work-life balance” to this generation (Twenge et al., 2010) while others prefer the term “work-life integration” as this generation also invests time for work in private life (Gani, 2016). The generation Y is also willing to interrupt their career to take sabbaticals (Kramer, 2015), or to travel the world (Corporate Leadership Council, 2004; Twenge et al., 2010). Most researchers tend to agree that Generation Y is influenced by the ‘rightsizing’ and ‘downsizing’ of relatives and friends in the 1980s and 1990s (Loughlin and Barling, 2001). Work is less appreciated as an investment into their future (Loughlin and Barling, 2001). Therefore, they expect work that they can identify with (Kienbaum, 2015) and they look for a job and career opportunities compatible with the private life (Bund, 2014). On the other hand, others have argued that “when you know all the money you earn is not going to guarantee you any security in later life then [they] think you are less willing to do an unsatisfying job” (Gani, 2016). In regards to individual career choices and personal development goals, the generation is described as demanding (Martin, 2005) while characterised by a strong desire to learn (Lyons and Kuron, 2014); they search for interesting, challenging and meaningful tasks (Lyons and Kuron, 2014; Martin and Tulgan, 2006). Hence, the generation Y prefers flexible hours and working in a team (Kienbaum, 2015; Oblinger and Oblinger, 2005; Tapscott, 2008) though they prefer working with members of their own generation (Allen, 2004). Even though characterised by a desire to team work, they are considered as being rather individualistic (Parment, 2013). As they know that no job is guaranteed (Weston, 2006) this generation has a rather low level of loyalty (Kienbaum, 2015; Twenge et al., 2010). Their self-confidence and optimism makes them more likely to switch jobs even if personal development and goals are absent (D’Amato and Herzfeldt, 2008; Weston, 2006). While the new attitude of this generation has posed significant challenges to employers (Sujanski and Ferri-Reed, 2009), they are generally considered to have revolutionised the culture of many companies. The generation Z is the youngest generation and the first that grew up completely digital (Ng and Parry, 2016). This generation is sometimes referred to as Generation Alpha (Williams, 2015a), Net Gen, iGeneration, Gen Tech (Horovitz, 2012), Generation Internet or Generation Mobile (Klaffke, 2014). While there is little academic literature dedicated to the subject, some authors and studies attempt to estimate their significance for the labour market. They point out that in 2020 roughly 20 percent of the workforce will consist of members of the generation Z (Robert Half, 2015; Tulgan, 2016) and that globally about 2 billion people are belonging to this generation (McCrindle, 2014). The generation Z is influenced in their formative years by a number of events, such as the great recession, the terrorist attacks of 09/11 (Tulgan, 2016), debates on climate change (Randstad, 2014), the euro crisis and the nuclear catastrophe of Fukushima (Scholz, 2014). Due to the increased transparency provided by the internet, they better understand economic and political correlations, resulting in a more realistic view (Scholz, 2014). Generation Z is aware of the fact that there is no job security and no guarantee for pensions (Scholz, 2014), and just like Generation Y, they tend to resist societal norms and expectations. Those who are critical of this generation tend to describe them as disloyal, unpredictable and always searching (Seemiller, 2016), while others emphasise that this generation has found an individualistic approach to adapting to the general situation (Scholz, 2014). Growing up in a time when both parents are employed and the government offers families the opportunity to work immediately after birth (Klaffke, 2014), these individuals grow up sheltered by their parents (Scholz, 2014). Even though this generation is shaped by increasing divorce rates and changing family constellations – patchwork-families or single parents’ households (Scholz, 2014), this generation has close relationships to their parents (Klaffke, 2014; Shell, 2015; Scholz, 2014). While the Bologna-reform brought about an academisation of the population, leading to an ever increasing number of students, the trust in politicians is decreasing (Scholz, 2014). The generation Z knows about the problems of the generation Y in entering the labour market during economic crises (Adecco, 2015; Scholz, 2014). Additionally, the increasing rates of temporary contracts and burnouts within the generation Y lead to uncertainties and make this generation striving for job security and a health-conscious life (Bohnensteffen and Fülbeck, 2014; Scholz, 2014). Critically described as ‘screenagers’ (Williams, 2015a) or hyper-connected junkies (Koulopoulos and Keldsen, 2014), the generation Z is the first generation born into a world of technological change (Tulgan, 2016). From birth on, they are bound to the internet (Turner, 2015). Being always online (Klaffke, 2014), 99% of this generation has access to internet (Shell, 2015), while 98% boys and 95% girls own a smartphone (JIM, 2016). Social life of this generation is mainly happening on social media and internet (Benhamou, 2015), their social connections are considered a main indicator for happiness (Kardaras, 2016) as they make them feel connected and powerful (Tulgan, 2016). Google, Wikipedia, Facebook (Klaffke, 2014; McCrindle, 2014; Scholz, 2014), YouTube, Instagram and Snapchat (JIM, 2016) are the platforms used by this generation. A study in America indicates that 63% of participants confess that their communication is based on text messages, compared to only 35% who regularly communicate face-to-face (Kardaras, 2016). Older generations perceive their intensive use and dependence on the Internet as problematic (Borca et al., 2015), predicting that society “might end up less social in the future, which would be a disaster because [people] need to be more social” (Kardaras, 2016, p. 10). The literature describes this phenomenon critically as ‘FOMO’ short for “fear of missing out” of things that happen (Benhamou, 2015), while Williams and Page (2010) argue that this generation is born into this world not knowing how a life feels without electronic devices. The literature states that this generation is not interested in monotonous, administrative and repetitive work as they are searching for a deeper sense (Klaffke, 2014; Scholz, 2014). Rather, they expect a flexible and dynamic work environment (Klaffke, 2014) in which they can self-realise in small work groups of colleagues the same age (Scholz, 2014). Similar to generation Y, the generation Z is seen as independent (Shell, 2015) and unwilling to make emotional commitments which is often interpreted by the literature as being disloyal (Scholz, 2014). However, their realistic view allows them to follow smaller and more pragmatic stepping stones (Klaffke, 2014; Scholz, 2014). Furthermore, the generation is aware that organisations’ promises of a good work-life balance are often empty, leading them to a strict work-life separation (Scholz, 2014). They are looking for long-term employment contracts from their employers that give them security (Scholz, 2014; Shell, 2015). This generation has high expectations concerning salary and they are confident that their good work will pay off (Scholz, 2014). Although they strive for job security, they also look for employment they can identify with (Scholz, 2014). Even though employers often perceive the generation Z as difficult, the literature describes this generation as highly motivated, good-natured (Scholz, 2014) and effective in their use of new technologies (Schawbel, 2014). Since the Global Financial Crises 2008, organisations are under increased pressure to attract highly qualified prospective employees. As Generation Y and Z are more likely to switch jobs frequently, organisations must understand what to do to compete in the labour market. With a booming economy and an ever increasing demand for talent (Mosley, 2007), organisations must position themselves on the market such that they attract and retain such talent (Lievens and Highhouse, 2003). The concept of “employer branding” arose between 2004 and 2008 as a relatively new phenomenon (Mosley, 2015) that had its roots in branding and marketing (Kotler, 1992, Moroko and Uncles, 2008). Branding is described as “the process of developing an intended brand identity” (Kotler and Lee, 2008, p. 215) whereby the brand’s objective is to create an emotional relationship between employer and potential customer (Davies, 2008). This method is transferred as the “people strategy” to employer branding (Walsh, 1998, p. 16) as a “company’s efforts to help existing and prospective workers to understand why it is a desirable place to work” (Snell et al., 2015, p. 171). 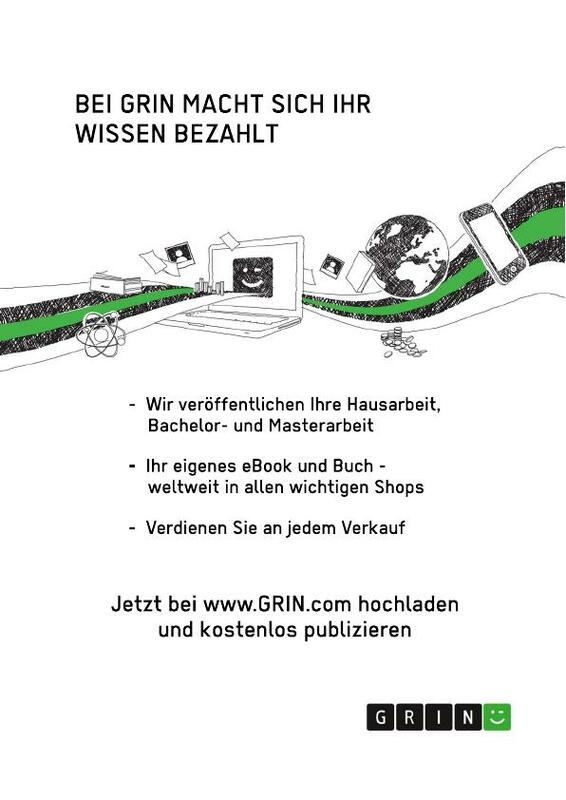 Critical research considers the current state of employer branding as rudimentary (Stotz und Wedel, 2009) as the process of branding is so complex that cannot be simply transferred one-to-one from marketing (Stotz und Wedel, 2009). Corporate branding (figure 8) usually focuses on an external audience, whereas employer branding focuses on both the internal and the external environment (Backhaus and Tikoo, 2004). From the management’s perspective, employer branding is used as a long-term strategy to both recruit externally (Martin, 2007) and to retain existing staff (Backhaus and Tikoo, 2004; Sullivan, 2004). The employer branding enables the organisations the chance to create “a clear understanding of [the] corporate purpose and values, as these elements of the corporate ethos should be reflected throughout everything the organisation says and does” (Mosley, 2014, p. 24). The literature subdivides employer branding into a three-step process: the employer value proposition, the external marketing, and the internal marketing (Backhaus and Tikoo, 2004) (figure 10). The employer value proposition – which is already adapted in human resources management (Petkovic, 2008) – has its origin in marketing management and is developed from the unique selling proposition in marketing (Trost, 2009). A value proposition can be defined as the attributes and values an organisation offers to an employee in exchange for the employee’s work performance (Armstrong, 2006; Lambru, 2012). These attributes and the candidate’s expectations are an indicator for the organisational fit (Corporate Leadership Council, 2002) which, in turn, is the basis for a successful application process. The attractiveness of an organisation is derived from the value proposition and depends on the presentation and the credibility of the accordance of realistic and advertised attributes (Backhaus and Tikoo, 2004). As the core of the employer brand, it needs to be represented truthfully (Eisenberg et al., 2001). The objective of the employer value proposition is to be recognised as a positive differentiator, combining attributes desired by the target population (Sartain and Schumann, 2006). The second step is external marketing which focuses on attracting potential employees. A strong employer brand can influence the job choices of job seekers (Ployhart, 2006). The higher the identification of the potential employee with the offered attributes, the greater the interest in becoming part of the organisation (Cable and Turban, 2003; Collins and Stevens, 2002). It increases the likelihood of a good job fit and acts simultaneously as a selection tool. The problem is that there is no common strategy applicable across multiple generations as individuals weigh certain attributes higher than others (Cable and Turban, 2003). The last step is the internal marketing or internal retention process. In this stage, the organisation verifies the promises made in the employer value proposition (Backhaus and Tikoo, 2004). This process helps employees to internalise the organisational values (Backhaus and Tikoo, 2004) as well as provides a ‘high-quality employment experience, and a distinctive organi[s]ational identity which employees value, engage with and feel confident and happy to promote to others” (Martin et al., 2011, p. 3618). If the promised values and attributes are fulfilled by the employer, motivation is higher, loyalty and satisfaction improved and turnover rates reduced (Donath, 2001). Due to the fact, that both the internal and the external marketing processes start from inside the company (De Chernatony, 2001), a major problem of many organisations is that internal and external aspects need to be in line (Hatch and Schultz, 1997) to satisfy the recruit. If potential applicants cannot easily identify what aspects an organisation offers and what its values are, there is a strong risk that they will keep searching for an organisation with a clearer brand (Aaker, 1991). Therefore, a unique brand is “a concept of the firm that differentiates it from its competitors” (Backhaus and Tikoo, 2004, p. 502). Before the Global Financial Crises, employers could choose from a broad portfolio of candidates (employer market). That has changed, however, and in today’s employee market employees often find themselves in the desirable position of being able to choose from a variety of job opportunities. Organisations are now often in ‘ war for talents ’, competing with other organisations for the most qualified talents (Chambers et al., 1998). The importance of employer branding becomes clear in a study of Kienbaum (2014) according to which only 5% of 190 surveyed organisations had already implemented an employer branding strategy, 17% had none whatsoever, and 37% mentioned that it was of their highest priority to them (Kienbaum, 2014). About two years later, Universum Global (2016) published another study according to which it was now 62% of all organisations who prioritised implementing such a strategy. Still, many organisations do not consider employer branding as vital to their company’s goals, and they tend to underestimate the intensity of time and structure required for proper execution (Preuss et al., 2009); this disconnect often leads to promises made by organisations that are not fulfilled afterwards. In Generation Z, it’s considered important for an employer to communicate their employer value proposition to them. The employer brand is what demonstrates externally that the organisation is a good employer (Sullivan, 2004). To qualify for being an ‘ employer of choice ’, ”the employer value proposition includes key facts of “what makes [the] firm different and desirable as an employer” (Backhaus and Tikoo, 2004, p. 120). Only if they succeed will they attract the best qualified candidates (Backhaus and Tikoo, 2004) instead of just filling open vacancies with average candidates (Lievens and Highouse, 2003). Organisations can also benefit from recommendations of employee referral programs (Weitzel et al., 2017a) by advertising friends and family members of existing staff (Backhaus and Tikoo, 2004); by doing so, they brand both existing and prospective employees (Ambler and Barrow, 1996). The overall objective is to build a long-term project that creates a sustainable competitive advantage (Backhaus and Tikoo, 2004). For the external employer branding process, it is important to choose a suitable platform from which to communicate to and with prospective employees. According to a study by Hays (2013), 45% of the surveyed organisations complain about difficulties in identifying target-group oriented methods. Due to the fact, that every generation grows up under culturally and technologically different circumstances, it is important to subdivide media in methods for offline- and online communication (figure 11) (Konschak, 2014). Figure 12 shows the most relevant ways of connecting with the target group. Even if there is no single best way to recruit potential applicants (Rees and French, 2010), some methods are prioritised by certain generations. Critically seen, different generations have a different media usage behaviour and therefore require different platforms to be engaged on. However, within all the technical varieties, the internet has become the main channel to reach out to potential candidates (Reynolds and Weiner, 2009). Due to the fact, that the generation Z grew up completely digital, the present study will heavily focus on online-communication methods. The study “Recruiting Trends” (Weitzel et al., 2015) gives an overview of the usage of todays’ most used recruiting channels (figure 12). This figure indicates that corporate websites and job portals are the most favoured recruiting channels. While within the last years, the impact of social media increased wherefore the employment agency, employee referral and print media decreased. The impact of social media has increased within the last year’s (figure 12). They have been characterised as “[i]nternet-based, disentrained, and persistent channels of masspersonal communication facilitating perceptions of interactions among user, deriving value primary from user-generated content” (Carr and Hayes, 2015, p. 49). Originally developed for privacy, it is now used in human resources as an applicable employer branding tool (Backhaus and Tikoo, 2004) because social media developed to an “online environment that allows companies and potential job applicants to interact with each other” (Maurer and Liu, 2007, p. 306). It is now used in human resources as a masspersonal method to target the organisational values to potential candidates (Highhouse et al., 2004). In the last years, it was particularly the younger generation that was attracted by social media (Weitzel et al., 2015). Organisations perceive social media as “userfriendly, inexpensive, scalable internet- and mobile based technologies” (Fischer and Reuber, 2010, p. 2) that offer them the opportunity to focus on their target groups (Davison et al., 2011). Based on a study of the media usage behaviour of the youth in Germany, WhatsApp, Instagram, Snapchat and YouTube are growing platforms whereas Facebook and Skype are decreasing (JIM, 2016). Researchers need to define the appropriate research methodology. The fundamental approach to the methodological concept is, as Morse and Richards (2002) define it, concerns the interrelation between the research purpose, the research question and the research; the aim is to create a cohesive structure rather than several fragments. “ Research is a process in which [the researchers] engage in a small set of logical steps ” (Creswell, 2011, p. 2). The “step-by-step process […] involves the collecting, recording, analy[s]ing and interpreting of information” (Wilson, 2010, p. 3). The research ‘onion’ (figure 13) by Saunders et al. (2009) is used as an overview of the chosen approaches. The onion will be peeled layer by layer to build the methodology step by step. Chapter 3.1 – Research Philosophy and Approach – is concerned with the first and the second layer of the onion. Chapter 3.2 – Research Design – provides deeper insight into the research strategy, the research choices and the time horizon of the research project. Chapter 3.3 – Research Methods – presents the reasons for using questionnaires as primary data collection tool. Chapter 3.4 examines the Sampling Strategy, and Chapter 3.5 the Reliability and Validity of the Research. The first layer of Saunders’ research onion is concerned with the research paradigm, a word that is derived from the Greek word “paradeigma,” meaning pattern, example or sample (Antwi and Hamza, 2015, p. 218). The literature defines the research paradigm as “a philosophical framework that offers guidelines how scientific research should be conducted based on people’s philosophies and their assumptions about the world and the nature of knowledge” (Collins and Hussey, 2009, p. 43). The research project is based on the idea of critical realism which strives for an explanation of what human beings “see and experience, in terms of the underlying structures of reality that shape the observable events” (Saunders et al., 2016, p. 138). It does not take into account a positivistic approach that’s bound to a given status-quo (Cohen et al., 2007), nor a subjective interpretivist approach (Neuman, 2011); as Generation Z is a relatively new phenomenon, there is not enough data available to validate them. As a specific form of realism (Dwivedi, 2009), critical realism searches for an explanation “why events have happened in the way they did” (Olsen and Morgan, 2004, p. 25). As there is no common definition of the generation Z, it is hard to clarify one truth (Gray, 2016). Critical realism hence aims at obtaining data from individual perspectives to gain insights (Saunders et al., 2009) into the potential workforce’s experiences and perspectives (House, 1991). Thereby, the researcher seeks objectivity to minimise the risk of biases and errors in the findings (Saunders et al., 2016). The second layer of the onion refers to the deductive or inductive approach. The “top-down” deductive approach is useful as theoretical ideas need to be tested (Robson and McCartan, 2015). The inductive approach conducts research from within a specific case that might then be applicable in general (Crowther and Lancaster, 2009). The research project adopts a deductive approach that focuses on students of the generation Z; the aim is to understand their expectations and to create recommendations that organisations can use to effectively attract members of that generation. After clarifying the research philosophy and approach, the research design needs to be determined. Research design is the process of “how the researcher go about answering the research question” (Saunders et al., 2007, p. 600). Another definition understands the research design as a framework that provides information about the undertaken research by incorporating data collection and data analysis (Bryman, 2012; Robson, 2011). The research project is based on a survey strategy (Robson and McCartan, 2015). It is “designed to collect primary or secondary data from a sample, with a view to generali[s]ing the results to a population” (Collis and Hussey, 2013, p. 62); a population is a “group of research subjects that is being sampled” (Wilson, 2010, p. 190). The survey strategy was found to be appropriate as it allows for a relatively economical way to gain a broad understanding from a limited number of participants (Saunders et al., 2016). In the present research project, students of the Generation Z are being questioned; its survey strategy offers an opportunity to produce a framework (or universal model) for organisations by using a deductive approach. The fourth layer includes the choice of the research method; it differentiates between mono method, mixed method and multi-method approaches (Saunders et al., 2007). In the study, a mono-method quantitative approach is used that is typically associated with a survey strategy (Saunders et al., 2016). The quantitative approach (or fixed design) allows the collection and analysis of a huge amount of numerical data (Collis and Hussey, 2013; Saunders et al., 2016). However, even if the research project is based on ‘qualitative numbers’ which analyse the opinions of the participants rather than ‘hard facts’ (Saunders et al., 2016), the research design used in the present study can be considered quantitative. The quantitative approach is preferable for the research as it offers the opportunity to objectively measure characteristics and expectations of a large audience (Glesne and Peshkin, 1992; Robson and McCartan, 2015). A qualitative approach referring to non-numerical data (Antwi and Hamza, 2015) would not allow the same sample size (Robson, 2002) and is therefore neglected with respect to the topic. The fifth layer of the research onion describes the time frame of the research. A longitudinal study would offer the opportunity to identify and observe a phenomenon in a changing and dynamic environment (Collis and Hussey, 2013; Saunders et al., 2007). But as a longitudinal study would be time-consuming (Robson and McCartan, 2015; Saunders et al., 2016) and would go beyond the scope of the research project, it is not considered here. Instead, a cross-sectional time horizon is chosen to represent a snapshot of the current situation (Collis and Hussey, 2013). The cross-sectional approach is appropriate for studies examining a large sample size (Collis and Hussey, 2013) and is typically used in conjunction with survey methods in a fixed design (Easterby-Smith et al., 2002; Robson and McCartan, 2015). The research method is the process of obtaining and analysing data (Robson, 2011). It deals with the core of Saunders et al.’s (2016) research onion. In the study, data is collected from a large group of potential employees who are born between 1995 and 2000 and thus belong to the generation Z. The objective of the study is to portray an accurate profile of these students, to analyse the findings and to draw recommendations accordingly. The exact sampling strategy is explained in chapter 3.4. Sampling strategy. Secondary data from books, journal articles and studies is used to create the theoretical framework of the questionnaire (Saunders et al., 2007) and to conduct triangulation with the findings. Questionnaires are a “data collection [method] in which each person is asked to respond to the same set of questions in a predetermined order” (De Vaus, 2014 in Saunders et al., 2009, p. 360). They are generally recommended as a time- and cost-effective method that targets at a large audience simultaneously (Collins and Hussey, 2009; Saunders et al., 2016). The questionnaire was designed to examine the generation Z’s way of thinking and their perspectives. In contrast to that, qualitative interviews would not have allowed to survey an equally large sample size. Data collection methods can be categorised into exploratory, descriptive, explanatory or evaluative studies (Saunders et al., 2016). The research project is based on an exploratory approach as this method allows “to ask questions and to assess phenomena in a new light” (Robson, 2002, p. 59). Quantitative data is collected from self-administered questionnaires which contain the same set of closed-questions for every participant (De Vaus, 2014; Saunders et al., 2016). Since the generation Z is known for being extremely tech-savvy (JIM, 2016), an online-questionnaire was chosen. Besides other advantages, the internet offers “easier access and convenience, lower costs and time investment” (Robson and McCartan, 2015, p. 378). The questionnaire (see Appendix C: The questionnaire – Structure) includes 22 closed questions consisting of list questions, category questions, rating questions (4-point Likert scale), semantic differential rating questions and matrix questions (Saunders et al., 2016). While the use of closed questions may hinder participants in stating their own opinion in a free manner (Foddy, 1994), it allows for an easier and quicker analysis of a larger sample size than open questions (Saunders et al., 2016) would. In closed questions, the participant can choose from predefined answers, which where pre-tested by seven unbiased individuals to ensure practicality. By using large scale questionnaires, the results of the survey provide quantitative, numerical and unbiased data (Robson, 2011) which are expected to give evidence of trends and attitudes of the Generation Z. The data analysis was supported by the online-tool umfrageonline.com (Umfrageonline.com, 2017). The application facilitates single-transfer coding which minimises the risks of errors. Furthermore, the collected quantitative data can be exported into Microsoft Excel which allows graphical representations of the results by using tables and graphs (see chapter 5. Findings and Appendix D: The Questionnaire – Data Analysis). As a complex analysis is not required, simple descriptive statistics are used to display the numbers in a clear and comprehensible manner. Usually, it is not possible to collect data from an entire population. Sampling is hence used to obtain data from a predefined part of a population (Bryman, 2012; Ghauri and Grønhaug, 2002; Robson and McCartan, 2015). To conduct a thoughtful sampling, the process can be divided into six stages (figure 14).